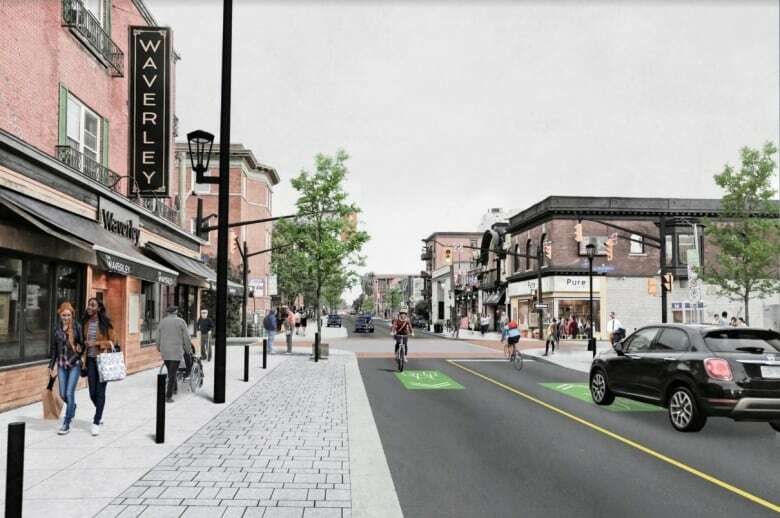 The latest plans for a major redesign of Elgin Street reveal a downtown strip that’s livelier, more accessible and friendlier to cyclists. 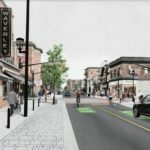 Over one kilometre of Elgin Street between Gloucester Street and the Queen Elizabeth Driveway will be reduced from four lanes to two, with turning lanes. The sidewalks will be widened and parking reduced from 120 spaces to 90. The proposed south-facing view of Elgin Street near Waverley Street. The bollards and pavers indicate parking spots that could also be rented as patios for restaurants. 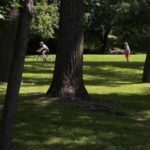 Cyclists and cars will have to share a single lane for vehicular traffic in each direction and the priority is on traffic-calming measures and wide sidewalks.